Adoptme Project 2.0. 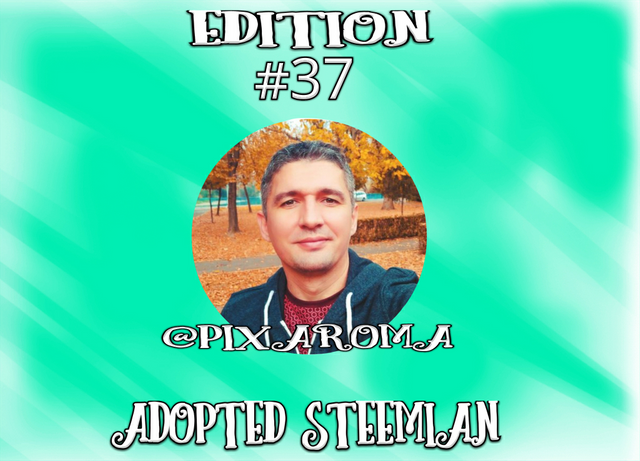 37th Edition Adopted Steemian! Hey Steemians, @blacklux here with 37 edition of my steemian adoption project better known as Adoptme! Oh, I forgot. Just because I adopted you doesn't mean I will just upvote and keep walking. I will take a look in your profile and if I see spam, wrong link sourcing, internet crap or copyright violations I will kick you and the adoption will be over! See? I will be a though momma! Wanna join the #adoptme movement? Then go ahead and adopt some little fishes! Feel free to use the #adoptme hashtag and tag me in your post! You want to help but can't afford to upvote? Then consider to be an uncle/auntie to my adopted steemians! How to be an uncle/auntie? Easy! Just have to resteem my adopted kiddos post for a week, to be precise 1 post of each steemian for 7 days (Monday to Sunday). That way you will help them to get more exposure here in this platform. Wanna be auntie/uncle of the week? Then send me a msg in discord @blacklux#9407 telling me you want to be an auntie or uncle for a week! Just type qurator in the box! @blacklux, congratulations to the newly adopted, @pixaroma. Your UA account score is currently 3.775 which ranks you at #4950 across all Steem accounts. Your rank has dropped 1 places in the last three days (old rank 4949). In our last Algorithmic Curation Round, consisting of 221 contributions, your post is ranked at #113. Howdy blacklux! well....here it is again...you're such a generous and kind hearted person. It's very...obvious! well done.